Steven K. Green, Inventing a Christian America: The Myth of the Religious Founding, Oxford University Press, 2014, 312pp., $29.95. When did Americans start making the claim that the United States was founded as a Christian nation? Why has this myth been so appealing? 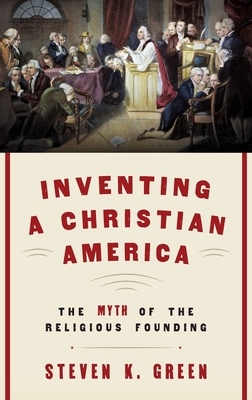 Dave Krueger talks with Steven K. Green about his new book Inventing a Christian America: the Myth of the Religious Founding, published by Oxford University Press in 2015. Steven is the Fred H. Paulus Professor of Law, Affiliated Professor of History, and the director of the Center for Religion, Law, and Democracy at Willamette University in Oregon. This interview was originally released as Episode #47 of MRB Radio’s First Impressions program on September 1, 2015.